The Reverse Listening Device is a wearable device that reroutes sound from a person’s left side to their right ear and vice versa. 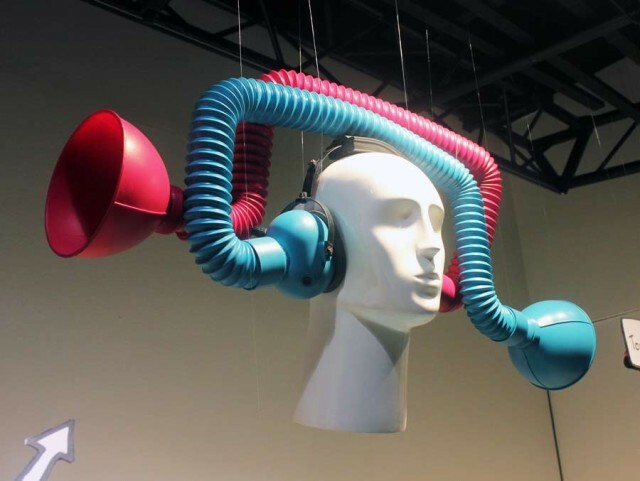 The device is a conceptual object by British artist and designer Dominic Wilcox. He reports that it does indeed work and it’s “a very strange experience wearing it.” The device is on display at the Selfridges store in London for the next four weeks.